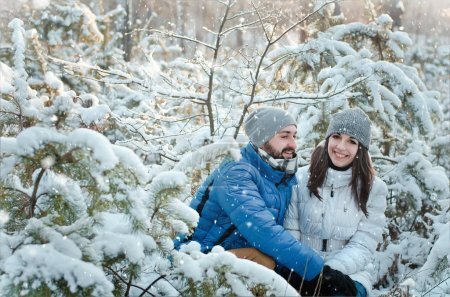 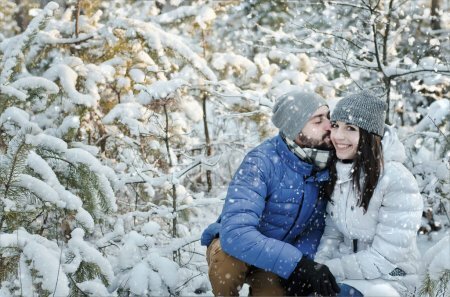 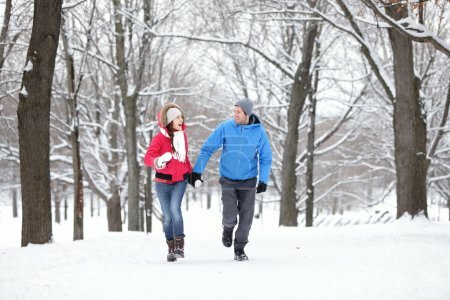 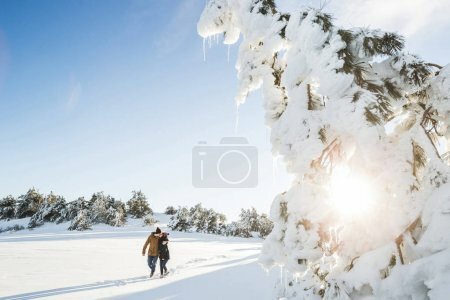 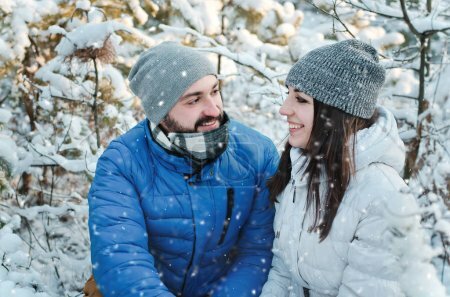 Outdoor back view portrait of cheerful man and pretty girl enjoying the snowfall in winter forest. 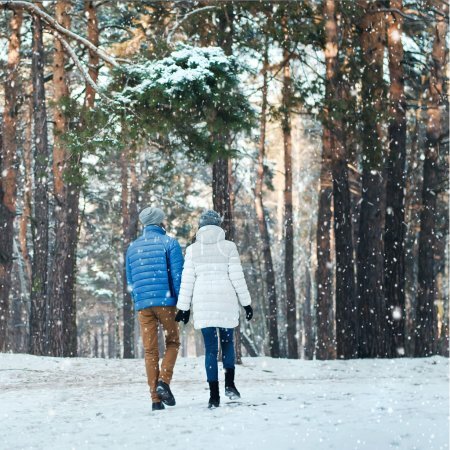 Young couple in love walking in wood. 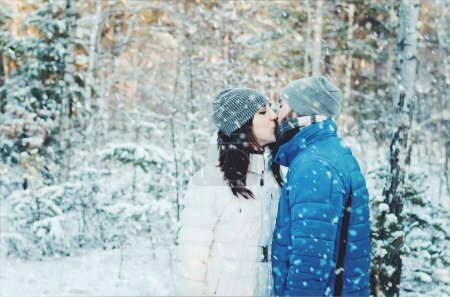 Christmas holidays, New Year, Valentine's day.